Your vision is a critical component of your health, work, and overall life. Cataracts are one of the most common eye disorders, but that doesn’t mean they’re necessarily well understood. If you are suffering from loss of vision, or have simply experienced more floaters than usual, it’s time to get in touch with one of our doctors and get help today. Cataracts are lumps of protein that form behind the lens of the eye. When these protein lumps build up, often as a response to diabetes or aging, the result is a blurry vision or, if left untreated, total loss of vision. If you have been wondering about the signs and symptoms associated with cataracts, floaters may be at the top of your list. These are free-floating clumps inside the eye that cause it to appear as if distorted specks are moving across your vision. Other symptoms include blurry vision, halos around lights when driving at night, or duller colors. How Can an Optometrist Help with Treatment for Cataracts? First, an optometrist will diagnose your condition and determine if you are a candidate for cataract treatment. If so, we will plot a course of action immediately. Treatment for cataracts consists of wearing UV-protective eyewear, taking supplements, getting a new pair of glasses and using visual aids. The strongest treatment for cataracts is surgery, which is very effective. 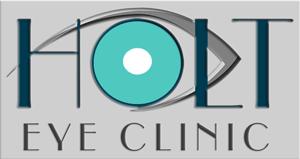 If nothing else has worked for you, we will likely recommend you undergo this relatively simple procedure and schedule you to be seen by an ophthalmologist. Give us a call today at 501-624-0609 or 501-624-6330 to speak with our scheduling department. We look forward to speaking with you soon, diagnosing and treating your cataracts, and putting you on the road to better health today. Don’t wait to get in touch!